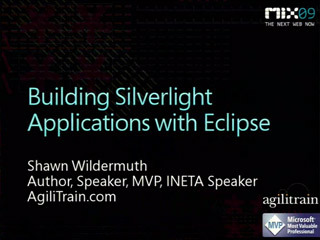 Shawn Wildermuth is an eight-time Microsoft MVP (Data), member of the INETA Speaker's Bureau and an author of six books and dozens of articles on .NET. 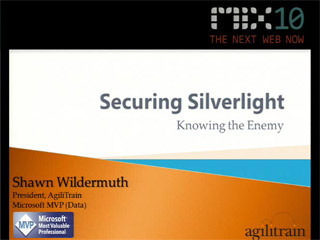 Shawn is involved with Microsoft as a Silverlight Insider, Data Insider and Connected Technology Advisors (WCF/Oslo/WF). He has been seen speaking at a variety of international conferences including TechEd, Oredev, SDC, VSLive, WinDev, MIX, DevTeach and DevReach. 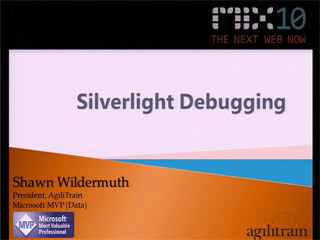 He is currently teaching workshops around the country through his training company AgiliTrain (http://agilitrain.com). He can also be reached via his blog at http://wildermuth.com.